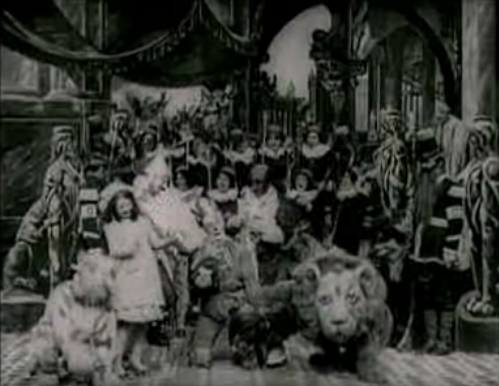 The Wonderful Wizard of Oz is a 1910 American silent fantasy film and the earliest surviving film version of L. Frank Baum’s 1900 novel The Wonderful Wizard of Oz, made by the Selig Polyscope Company without Baum’s direct input. It was created to fulfill a contractual obligation associated with Baum’s personal bankruptcy caused by The Fairylogue and Radio-Plays, from which it was once thought to have been derived. It was partly based on the 1902 stage musical The Wizard of Oz, though much of the film deals with the Wicked Witch of the West, who does not appear in the musical.